Fishermans cottage on the edge of the Atlantic Ocean. 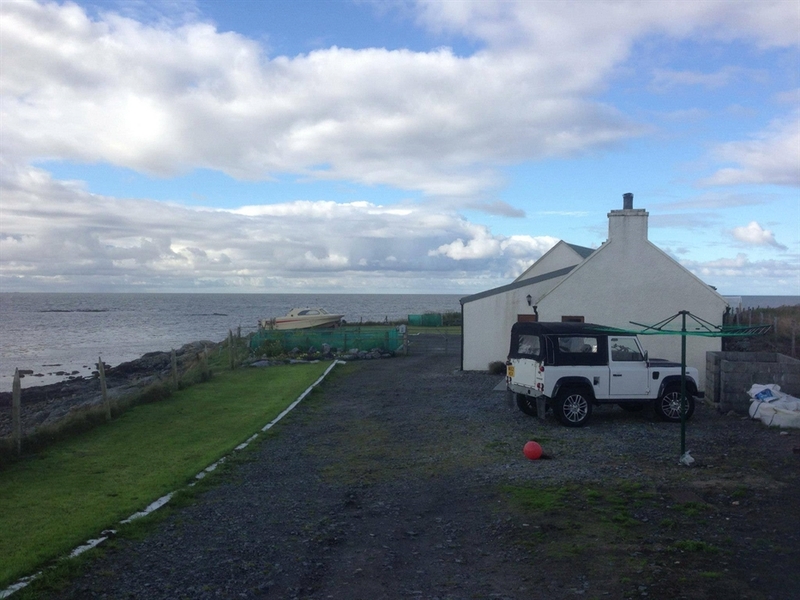 Fantastic views over the ocean to the mountains of Beinn Mhor and Hecla with the beach on your doorstep. First rate spot for bird watching , close to all amenities . Perched on the edge of the Atlantic Ocean, Bayview is the top spot for bird watching, in inclement weather these can be viewed with ease from the cottage window. Corncrakes can be heard close by. Fantastic views of the mountains to the south with views of the Monach Isles lighthouse to the northwest, beach on your doorstep. Being centrally located makes Bayview the ideal spot for exploring the Uists or going across to Barra for the day. Only 2 miles from Balivanich where post office, supermarket, restaurant, gift shop etc can all be found. Lots of walks, nature reserve, first rate fly or sea fishing all close by. Slipway 100 yards away for launching your boat or kayak, meet the local fishermen there landing their catch.